Have you ever wondered why the thumbnail of this post is Java? The reason I want to reflect and share this to most of the people is that, Java is not Fun. – Why? 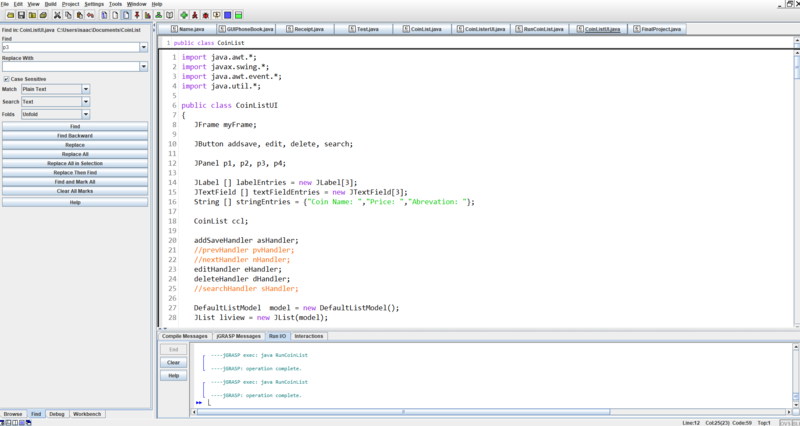 I realize that it is not fun to code the hard way, we were required not to use “Java Eclipse”, “NetBeans” and any other drag and drop Java Compiler. Its even more harder because no one will guide you, there are no available tutorials at Youtube (only NETBEANS and ECLIPSE, easy coding). Java is LIFE. It means it is annoying, I hate to say this but I currenlty have difficulty on coding and etc, I have to manually set each frame, manually set up the Classes and Objects, and especially for the GUI. One mistake will bring you to trouble. Here is the Program I picked and to be passed this week. This is all hard code, everything here is manually typed by the use of JGRASP compiler. Now, excuse me, Ill be finisihing this program this night! Ciao and Enjoy!